The news of the release from a Libyan prison in Zintan of Saif Al Islam Gaddafi, heir apparent to his late father, is surprising to many outsiders but it nothing to what may come next – a return in some form to power. In Libya’s 2011 Arab Spring uprising, Saif joined his father and sons on the barricades, castigating NATO-backed rebels in a bitter revolutionary war. While those rebels later cornered and killed his father Muammar and brother Moatasim in Sirte, Saif was captured alive trying to flee through the Sahara desert to Niger. It may be his good fortune that the units capturing him were from Zintan, a mountain town south of Tripoli, who later went to war with Islamist led Libya Dawn which captured the capital in 2014. When a mass trial was held of former regime figures there, Zintan refused to hand Saif over, sparing him the brutalities inflicted on other prisoners including former intelligence chief Abdullah al Senussi and his younger brother Saadi, who was filmed being beaten in a Tripoli prison cell. Zintanis were no friends of the former regime, fighting against Gaddafi’s forces as one of the most effective rebel outfits during the uprising that was won by NATO bombing. But from the few accounts of those allowed to visit him in a closely guarded compound somewhere in the town, he has been treated well, living under what amounts to house arrest, until now. A year ago a Tripoli court operating under Libya Dawn auspices sentenced him, and either others including Al Senussi, to death. Up in Zintan, not much changed for Saif, with Zintan still digging in its heels and refusing to hand him over to Tripoli’s grim Al Hadba prison. Since then, Saif’s location is a mystery, but Zintan’s attitude to him is tempered by their alliance with former Gaddafi-supporting tribes, including those from Beni Walid and Warshefani, in their brutal battle with Libya Dawn’s Islamists. The Gaddafi tribe itself has a base south of Zintan around Sebha, making common cause with the Zintanis against Libya Dawn militias who control the capital and lord it over the GNA. Before the Libya uprising, Saif criss-crossed the globe pushing an agenda for democratization he hoped would reform the country. Whether the drive was not serious, or whether it was frustrated by his hardline siblings Moatsem and Khamis, is impossible to know, but he emerges from captivity to find Libya a changed place something he predicted. Saif knew his country would be torn apart if his father regime was forced out by the West. The brutalities of his father’s regime have since been matched by those of some of the militias that overthrew him, most visibly the grim beating of his brother Saadi in a Tripoli jail which his captors filmed in gruesome detail. Many of the tribes that once supported Gaddafi are now battling Islamists and their opportunistic Misratan allies of Libya Dawn, and will see in Saif a figure who can unify their demands not to be squeezed out of Libyan political life. 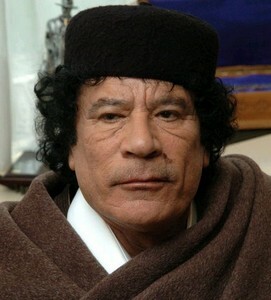 Opposition to him taking a political role it can be argued is softening because he was never part of the “muscle” of the Gaddafi regime, spending much of his time in London moving around the gilded circle of rich tycoons, academics and Tony Blair’s political elite. There is, in other words, an opening for a man who was castigated by rebels for dismissing their rebellion on Gaddafi’s green TV during the uprising, but who never fired a shot in anger. With his release, he might get a shot at the plan he always said he wanted; to reform his country and unite key tribes who feel marginalized by Libya’s power brokers. Pieces are falling into place for him to possibly take part in some kind of grand council. With the GNA unable to persuade either of Libya’s other two governments to join it, there are calls for a wider mediation effort, with Saudi Arabia and importantly Oman, offering mediation, to be discussed in Brussels on 18th July with US Secretary of State John Kerry. In this battered, chaotic country, with governments fighting each other and IS, Saif Gadaffi may find a new role as part of the solution rather than the problem. In the past 24 hours since the news broke he had been freed, Libyans across the country from different towns and cities have held pictures of Saif shouting his name. To my knowledge it’s the first time any pro-Gaddafi demonstrations have been evident in so many parts of the country since 2011. It’s time Saif played a role with other libertarians in and outside Libya promoting the old constitution and particularly banishing members of the former AQ affiliate, LIFG. Rumors are abound that Saif will give a press conference very soon. That’s going to be very interesting indeed if it happens.